FLOW COMPUTERS satisfy the instrument requirements for a variety of pulse-producing flow meter types in liquid applications. Alphanumeric displays show measured and calculated parameters in an easy to understand format. Single key direct access to measurements and display scrolling is supported. An EZ-Setup feature rapidly guides the user through the basic setup. Flow Computers can be programmed for rate/total indication or batching. The various pulse inputs and outputs can be “soft” assigned to meet a variety of common application needs. The user “soft selects” the usage of each feature while configuring the instrument. A 0-20mA or 4-20mA analog output is standard. 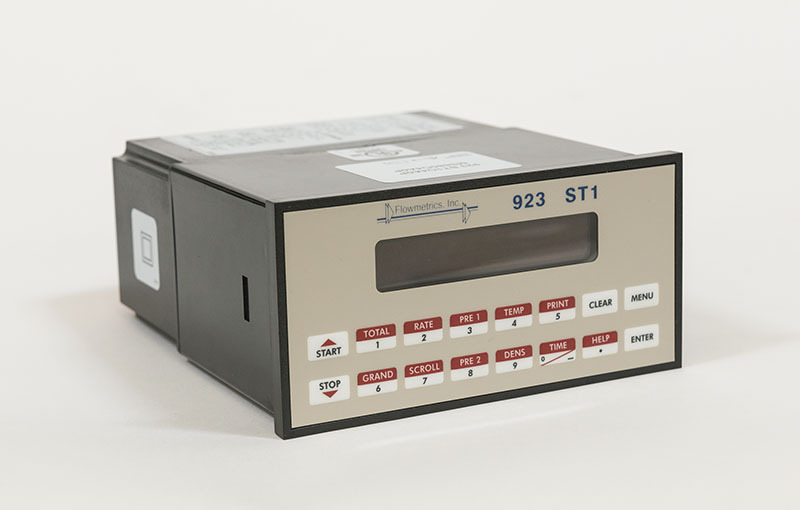 The ST1-SUM-FC Flow Computer can monitor actual sum of two flow rate and two totals of any liquid. 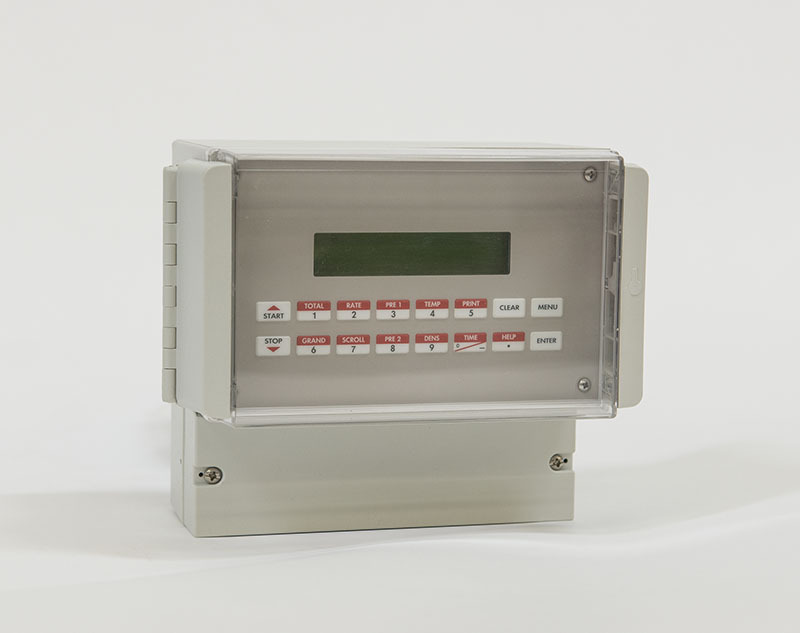 (Common applications include compound flowmeters) Flow alarms are provided via relays and datalogging is available via analog (4-20mA) and serial outputs. Click the links to download the 923-ST1SUMFC Flow Computer brochure or manual. 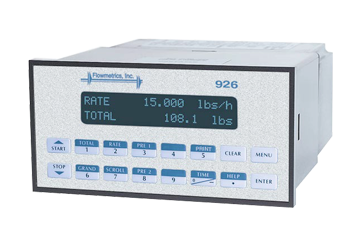 A flowmeter manifold controller is a special flow instrument intended to accept inputs from two flowmeters, one larger and one smaller, and which also controls the bypass valve. The instrument setup contains the calibration information for both flowmeters as well as the manifold flow rate switch setpoint and hysteresis. Click the links to download the 923-ST1MANIFOLDFC Flow Computer brochure or manual. The ST1-NET-FC Flow Computer can monitor actual net flow and total of any liquid. 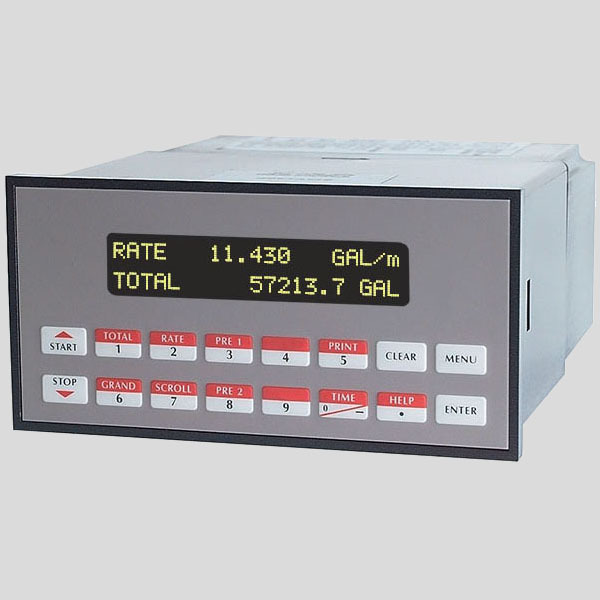 (Common applications include boiler and diesel engine fuel consumption measurement) Flow alarms are provided via relays and datalogging is available via analog (4-20mA) and serial outputs. Click the links to download the 923-ST1NETFC Flow Computer brochure or manual. Click the links to download the 924-ST2 Flow Computer brochure or manual. 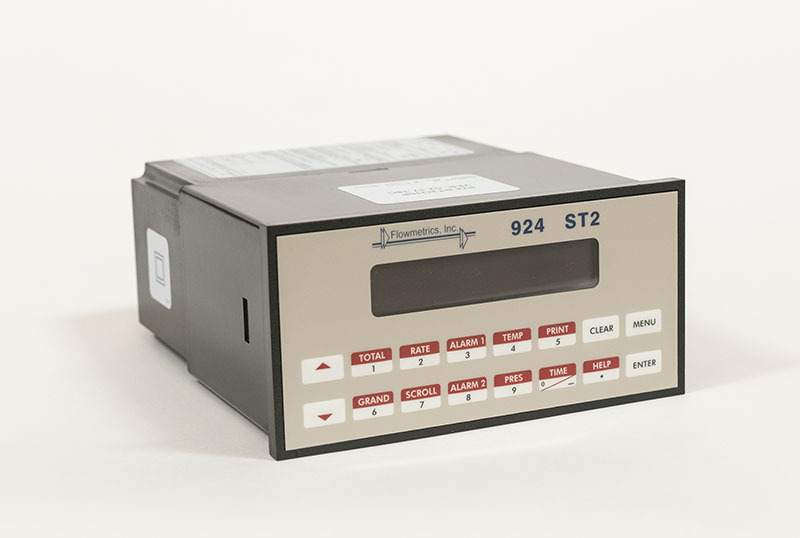 The ES-747 Flow Computer satisfies the instrument requirements for pulse producing flowmeters in liquid and gas applications. Multiple flow equations and instrument functions are available in a single unit with many advanced features. Click the links to download the 925-ES747 Flow Computer product brochure or manual. Click the links to download the 926-ST1LE Flow Computer product brochure or manual. 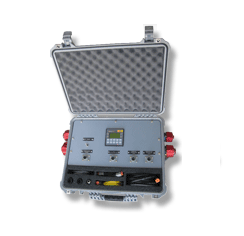 Instrument Verification Set (IVS) is a portable instrument verification and diagnostic measuring tool designed to verify flow, pressure and temperature of hydraulic systems and instruments. Temperature sensor is Microprocessor based with rugged, corrosion-resistant 316L stainless steel housing.